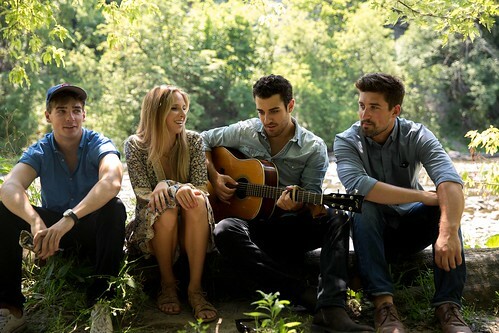 Don’t miss the opportunity to witness Wild Rivers, an indie folk band, perform at the Songbyrd Music House on Friday, July 14th. By way of Toronto (and formed in Kingston, ON), Wild Rivers make their first foray into the US after two recent tours in Eastern Canada. DC will be their fourth stop. The band started as the duo Devan & Khalid, before adding two new members and changing their name. Wild Rivers are now Devan Glover (vocals), Khalid Yassein (vocals, guitar), Andrew Oliver (bass) and Ben Labenski (drums). Their debut self-titled album came out in April 2016. Songs like “Already Gone” – which seems to be about contemplating the end of a relationship in the solitude that comes after, and “Wandering Child” showcase the rich interplay of vocal harmonies between Devan and Khalid. Get your tickets for July 14th here. Their new single is “Do Right” and name checks Death Cab for Cutie! Tickets are $10. Doors open at the Songbyrd Music House at 7pm. Show at 8pm. Opener is Chris Cassaday.